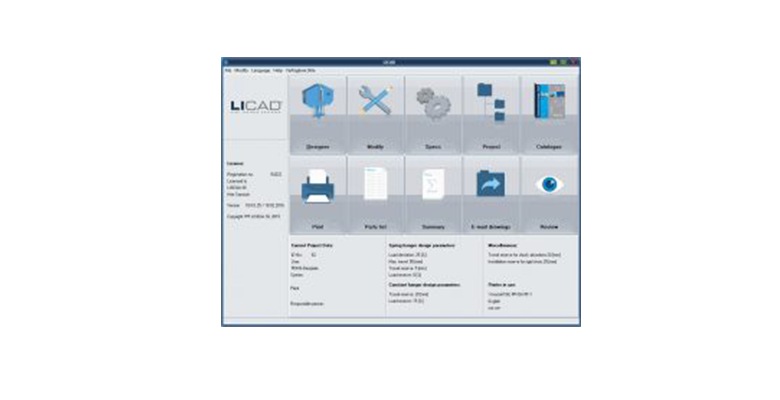 With LICAD® the user can generate support drawings, bill of materials and 3D models in different CAD programs. Experience has shown that with LICAD® up to 50% of the support design costs can be saved. The time between design and delivery is also greatly reduced. Optimum spring and constant hangers are selected automatically, whereby the specific customer requirements such as travel and load reserves according to ASME B 31.1, VGB-R 510 L, DIN EN 13480 or other parameters are taken into account. The support chains created are saved as complete assemblies and can be printed out as drawings or modified at any time. They are true to scale and contain all the relevant details, including parts lists with weights and materials and optionally with location plan or other freely editable information. För vidare information, klicka här!